الخيار الأفضل للحصول على المتعة والاسترخاء, The Two Story Bed and Breakfast يقع في منطقة تيلبا تيلبا في تيبا تيبا. يمكن من هنا للضيوف الاستمتاع بسهولة الوصول إلى كل ما تقدمه هذه المدينة النابضة بالحياة. يشكل هذا الفندق ملاذاَ مريحاً للاسترخاء ويمنح زواره فرصة للاستجمام والتجدد، وهو يقع على بعد خطوات من المعالم السياحية الكثيرة للمدينة كمثل: ‪Central Tilba Historic Village‬, ‪Passionfish Candles & Gifts‬, ‪The Spires Nursery‬. استمتع بالخدمات الراقية والضيافة التي لا مثيل لها بهذا الفندق في تيبا تيبا. يمكن لضيوف الفندق الاستمتاع بالميزات التالية على أرض الفندق: واي فاي مجاني في جميع الغرف, تخزين الأمتعة, واي فاي في المناطق العامة, صف السيارات, جرائد . تتضمن كل غرف النزلاء وسائل الراحة والتسلية المصممة خصيصاً لضمان الراحة القصوى للضيوف. صممت خدمات الاستجمام في الفندق والتي تتضمن حديقة لمساعدتك على الاسترخاء والراحة. استمتع بخدمات لا يعلى عليها وعنوان ذو اعتبار في The Two Story Bed and Breakfast . Ken and Linda are delightful hosts and full of local knowledge and advice on places to go and things to do. Very friendly hosts in this historical village. Clean and quiet room with separate guest entrance. Only negative was small bathroom. Best breakfast we have had in Australia. Great friendly hosts. Unusually quaint accommodation which the hosts have worked hard to achieve. It looks like its straight out of a fairy tale. The stay is also the same. We stayed in Dame Zara Room, which apparently is the largest, and the Bathroom for the room is across the hall, with a hot tub. Room is on the 1st floor with access to the balcony. Sit and relax in the balcony, and watch this entire colorful town to the other end. Rooms are big with all amenities. 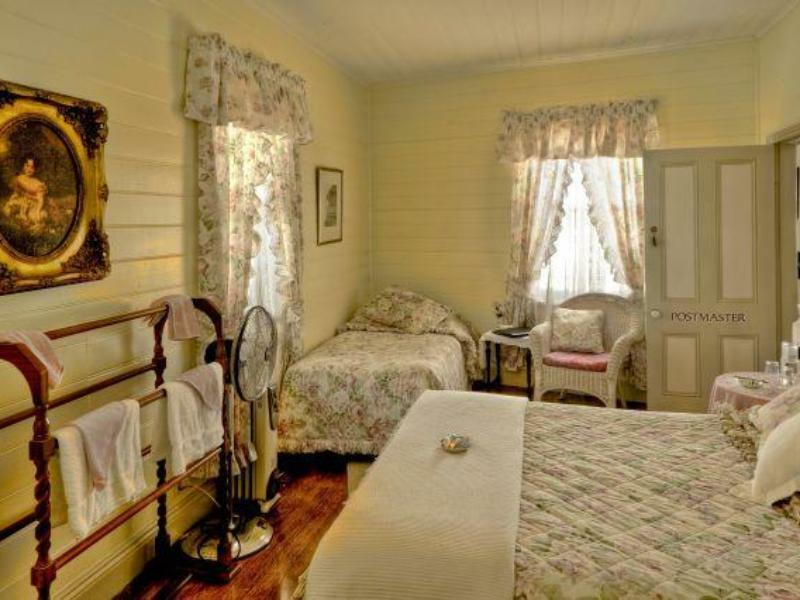 There is only one another B&B in Tilba Tilba, but this is the one should go for. It has a dedicated parking and everything is at arms length. 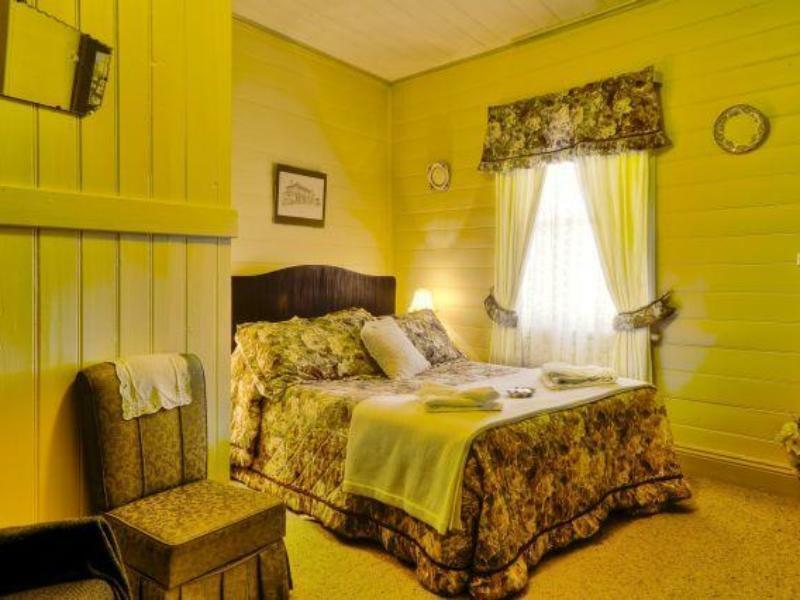 The other B&B, The Byrn might be a fancier stay, but off the main town. If you want to squeeze every drop of experience of this colorful place, you got to stay at Two Story. Not to mention their sumptuous breakfast, it can give any 5 star in Sydney or Melbourne a run for their money. This is a great place to stay down on the NSW South Coast. 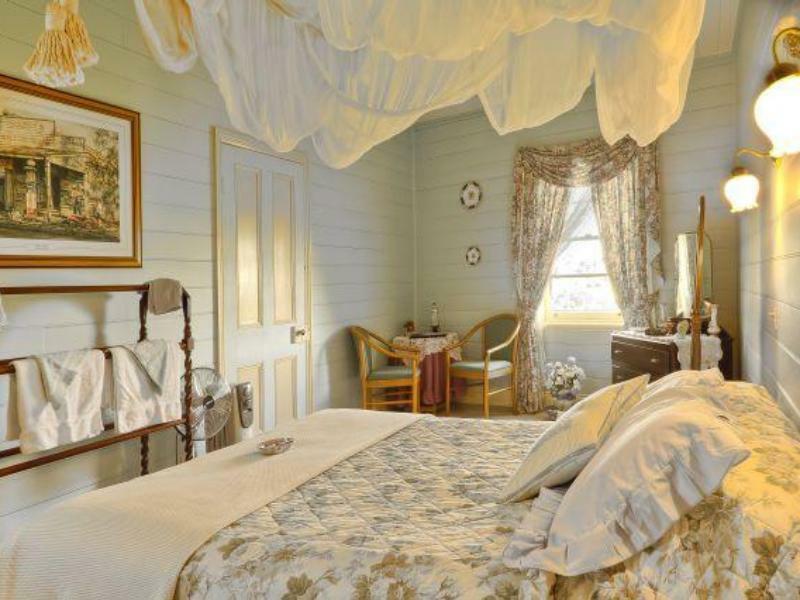 About 6 hours from Sydney this little place in Central Tilba offers an authentic country experience with traditional country cottage decore and friendly hospitality.